Given the prestigious imprimatur of the 55th New York Film Festival of the Film Society of Lincoln Center (which ran through September and October 2017) the features by the women directors were a diverse and challenging slate. Ranging from debut to valedictory work, most of these fiction and documentary features have American distribution and will be presented at other festivals. Here's my take on the fiction features. Director Dee Rees accomplishes a breathtaking tour de force with her third fiction feature. She expands from stories of one African-American female to a bountiful epic of two families, black and white, in the American South during World War II. Rees polishes Virgil Williams’s first adaptation of Hillary Jordan’s bestseller to create a classic with strong, indelible characters who are farming amidst the poverty, heat, rain, and, yes, mud of the Mississippi Delta. She also thrillingly captures the fog of war and the inner turmoil of young heroes who leave these fields for European battles that replay in their nightmares when they return to a social landscape still mired in Jim Crow. 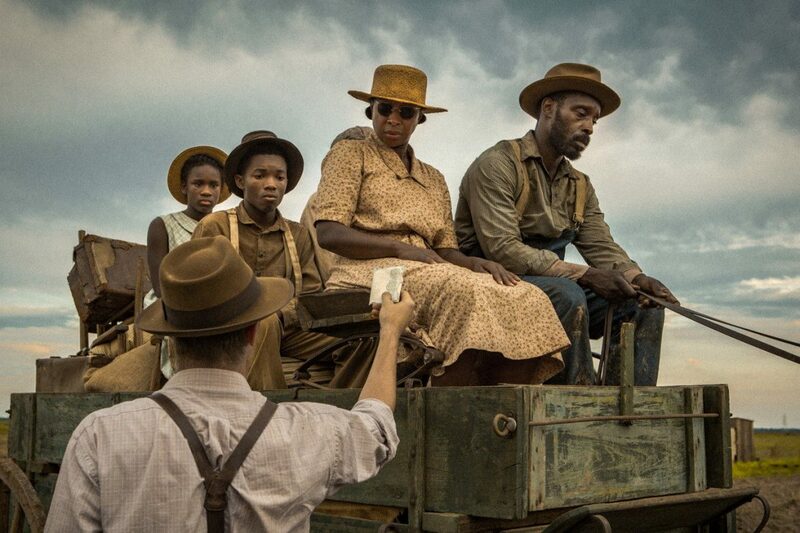 Each of the white landlords (played by Jason Clarke, Garrett Hedlund and Carey Mulligan) and the neighboring black sharecroppers (unrecognizable Mary J. Blige, Jason Mitchell and Rob Morgan) take a turn narrating their inner thoughts. The white racist patriarch played by Jonathan Banks has no further depth beyond sparking the violent climax. Actress Greta Gerwig has been co-writing many of her starring vehicles since her mumble-core beginnings a decade ago. Here, she debuts directing her long-gestating original script that smartly refreshes the rebellious teen girl movie, conveniently set in the post 9/11 but pre-social media world of 2002. 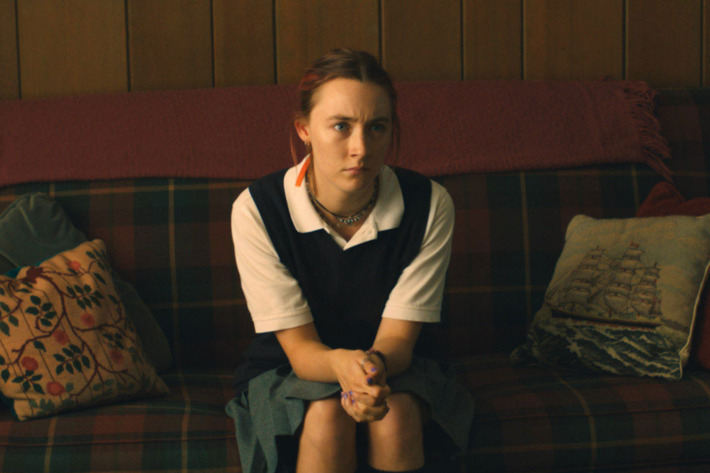 Christine McPherson (Saoirse Ronan) reaches senior year in Catholic high school caring more about being the “Lady Bird” she now wants to be than pleasing any Prince Charming or her mother. Her mother Marion (Laurie Metcalf) is not the usual harpy nemesis, but is urgently trying to adjust to her daughter’s quicksilver adolescent changes before she leaves for college. Gerwig’s working title was Mothers and Daughters, and this caring parent is a hardworking, empathetic nurse struggling with the financial and emotional difficulties of a laid-off husband (Tracy Letts). Even as Lady Bird tries to fight, too, with her mother-figure at school, Lois Smith’s Sister Sarah Joan is surprisingly warm and understanding. Polish director Agnieszka Holland is known for politically-conscious films that critically examine the impact on people of the changing authoritarians over Europe during the 20th century. Collaborating to adapt Olga Tokarczuk’s novel Drive Your Plough Over the Bones of the Dead (not yet in English) and directing with her daughter Kasia Adamik, they powerfully capitalize on the superstitious perception of women being close in touch with nature to call out for environmentalism. 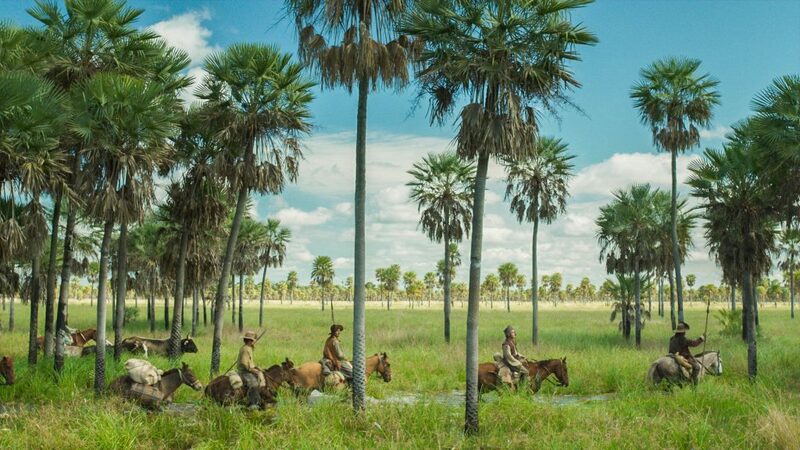 In this U.S. premiere, Argentinean director Lucrecia Martel reinvents the historical epic by bringing to life an absurdist look at an unnamed, isolated late 18th Century Spanish colony in South America, adapted from Antonio di Benedetto’s 1956 novel. Martel’s previous films center on men, there are no heroes here, and dirt is everywhere. The titular low-level officer magistrate (Daniel Giménez Cacho) keeps getting further mired in the royal bureaucracy, as his ambitions are thwarted to get posted nearer his family he’s trying to stay faithful to, let alone to get paid. German director Valeska Grisebach’s third feature is a timely setup of foreign workers versus the natives, all enmeshed in xenophobia and macho posturing. A German construction crew works on building an EU-funded hydroelectric plant in rural Bulgaria. While they are bringing their superior technological development to a poor country, this is not a plum assignment for anyone who had other employment opportunities or skills. The Germans share a primitive cabin and take orders from young blowhard supervisor Vincent (Reinhardt Wetrek), who gets increasingly exasperated as the deadline for completion looms, supplies and the payroll run short. He orders them to stay put, but the loner Meinhard (Meinhard Neumann) sneaks off to the nearby town and starts fraternizing. Claire Denis has been a major French film director with over a dozen films during three decades, each in a different style of intensity. With co-screenwriter Christine Angot, she experiments with a rare female character on screen – a mature, divorced mother who is searching for true love, physical, emotional, and realizing she needs stability too.